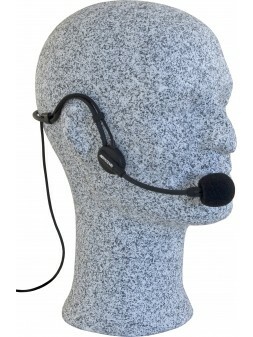 The WHS-20 is a rugged, lightweight headset microphone, based on a high quality condenser element. The unidirectional pickup pattern of the microphone isolates unwanted ambient noises and prevents early feedback. The mini XLR-connector makes it a perfect match with the JB SYSTEMS belt pack models WBP-1, WBP-2 and WBP-20 belt packs but also fits to belt packs of other brands equipped with a mini XLR-connector.